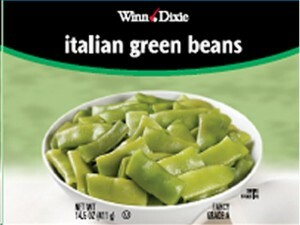 Food retail giant Winn-Dixie recently issued a recall against its own Italian green beans. These beans are being voluntarily recalled because of the presence of an undeclared allergy. The Italian green beans are believed to contain in-shell peanuts that have been mixed with the beans. Peanuts are considered a common food allergen and people who are sensitive to peanut in any form might experience an allergy attack once they consume the affected Italian green beans. The recalled green beans were sold under the Winn-Dixie brand and packed in 14.5-ounce cans. The UPC code of the recalled beans is 2114021236, and the “best by” date indicated is September 2014. To date, there have been no reports of allergy attacks caused by the recalled Italian green beans. Winn-Dixie, however, pushed through with the product recall as a safety measure for consumers, especially for those who are hypersensitive to peanuts (in any form). Winn-Dixie is encouraging consumers who might have bought the recalled Italian green beans to return the product to any Winn-Dixie store. Customers who return the recalled product will be given a refund without any questions asked. According to Winn-Dixie’s group VP for Marketing Mary Kellimanson, the company is currently making a careful and systematic investigation in order to find out how, where and why a peanut contamination happened. This is necessary so that the company can prevent incidents like this, or similar incidents, from happening again. Consumers who have questions or concerns about the recalled Winn-Dixie product can call the company’s Guest Service Centerat 1-866-946-6349 (1-866-WINN-DIXIE).